Occasionally backup the system version of OS X is a good way to prevent system crashes. But recently some changes Apple made seems to lead some older versions of OS X Installer work fails. Recently, according to netizens pointed out that Apple’s Worldwide Developer Certificate used to verify third-party applications and services has expired, it will force Apple to re-publish a new certificate for developers. 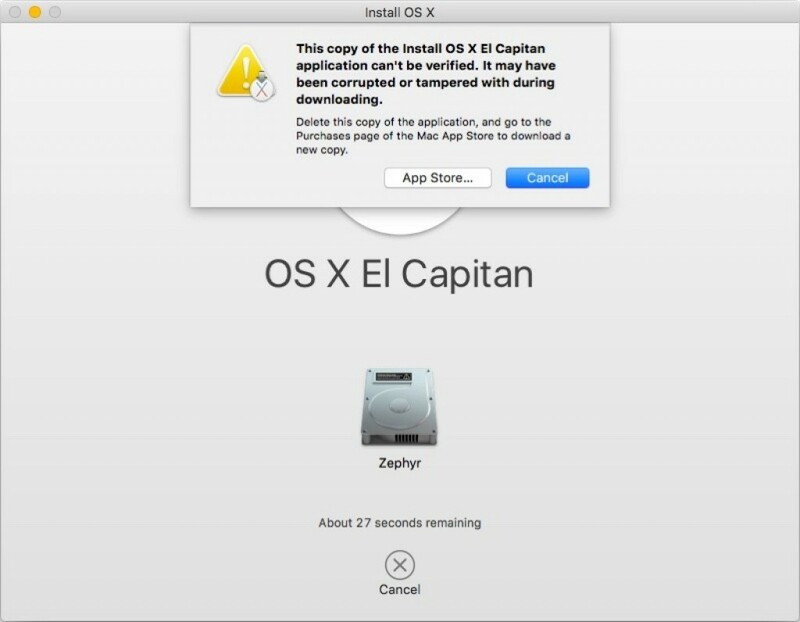 This further leads to multiple versions of OS X installer unable to work that downloaded from the Mac App Store before February 14, 2016, reason for this is the certificate expired. Specifically, If you installed an expired OS X installer on an external drive (such as: USB startup disk), then it will fail when you install the system. It is reported that the affected installers include OS X El Capitan, OS X Mavericks, and even OS X Mountain Lion. The affected OS X El Capitan users can re-download the new version of the installer from the Mac App Store to solve this problem, but for OS X Mavericks OS X Mountain Lion and the other older systems, it is difficult to get a new version of the installer from the Mac App Store. The terminal command will configure system date to February 1, 2016, that is, before the certificate expires, so installer can continue to use. After installation is complete, you can go to System Preferences to Reset the System Date.